Individually and collectively, resident microbes play important roles in host health and survival. Shaping and shaped by their host environments, these microorganisms form intricate communities that are in a state of dynamic equilibrium. 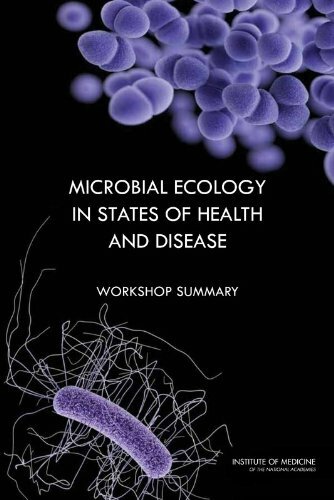 This ecologic and dynamic view of host-microbe interactions is rapidly redefining our view of health and disease. Metagenomics is the functional and sequence-based analysis of the collective microbial genomes that are contained in an environmental sample. This text is developed by NCBI from metagenome projects submitted to the Genomes Projects database. The aim of this volume is to furnish an outline and sufficient detail to enable the general student of dairying to obtain as comprehensive an idea of the bacteria and their effects on dairy products as may be possible without laboratory practice. DNA polymerases are core tools for molecular biology including PCR, whole genome amplification, DNA sequencing and genotyping. Research has focused on discovery of novel DNA polymerases and characterization of DNA polymerase biochemistry. This book provides a collection of in-depth reviews broadly related to the mechanisms of viral replication as applied to various viruses of critical relevance for human or animal disease. Aimed at students, scholars, professors, and investigators.